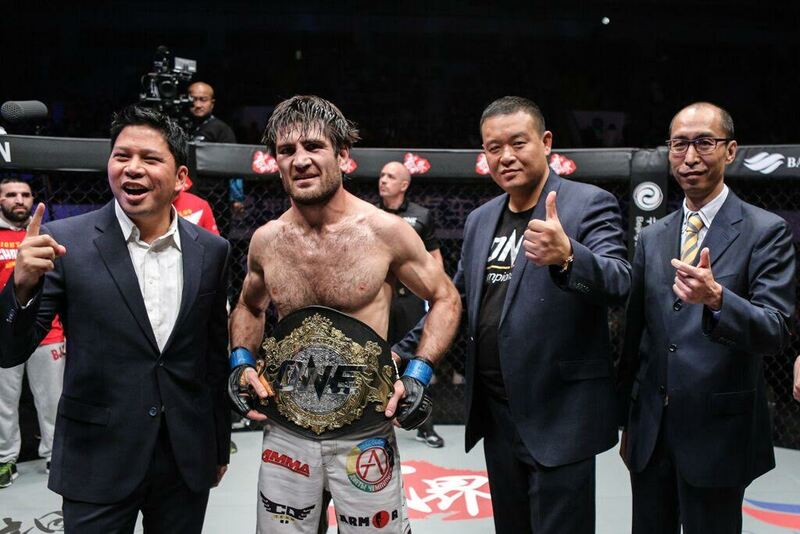 ONE Chamionship returned to Beijing for its latest event, and the card saw Marat Gafurov unify the featherweight title and Kairat Akhmetov lay claim to the flyweight belt. Gafurov, who was the interim champ heading into the bout, choked out Narantungalag Jadambaa in the fourth round to become the undisputed champion. Akhmetov, meanwhile, worked his way to a split decision win over Adriano Moraes. Here are the results from “Dynasty of Champions” (Beijing II).